I would love attend a Chopra Center program. If you would be willing to share some of what you learned we would be thrilled! I am a seeker not an expert and would love to discuss and compare notes. Please join in the discussion. Oh, fantastic. I've just started because of reading a Deepak Chopra book. According to the self-assessment quiz on John Douilard's site (lifespan.com) I am Pitta-Vata. I spent the first week of 2018 at the Chopra Center in Carlsbad, California (near San Diego). I did the 6-day Perfect Health program. I learned so much! 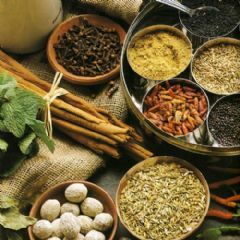 Ayurveda is the way to live! I have a Vata-Pitta dosha. I changed some routines, my diet and my mindset. Best way to start the New Year and the perfect birthday present ever!